The good folks at Supercell have just released another notable update for their Clash Royale smash hit. Fans of the game refer to it as update v1.9 and judging by its contents, it looks like this is an important one. 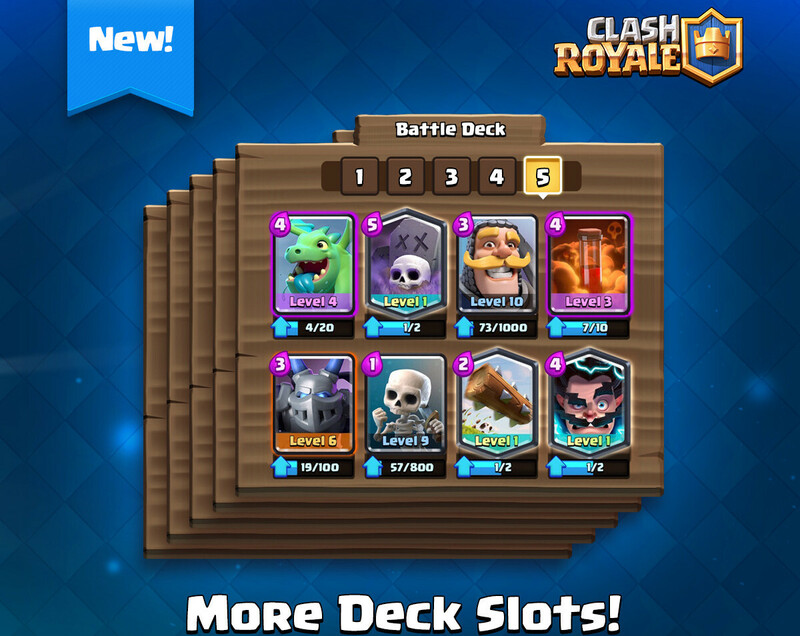 Four new cards will be added: Mega Knight (legendary), Cannon Cart (epic), Flying Machine (rare), and Skeleton Barrel (common). According to Supercell, each of these new cards will launch with a Special Challenge. Speaking of which, new Challenges will be available in the latest version of Clash Royale: Sudden Death, Ramp Up, and Triple Elixir. Moreover, update v1.9 brings more deck slots at Arena 8. Also, you will now be able to copy decks from TV Royale and share replays. Another valuable addition to the game are the new 2v2 game modes: 2v2 Friendly Battle, 2v2 Draft, and 2v2 Challenge. The developers also promise to allow players to collect chests with their friends in a 2v2 Battle. Basically, after the update, a “2v2” button will show up in your game. Use the button to invite a friend, Clanmate or pair up with a random player to play a 2v2 Battle for chests, Victory Gold and earn Crowns for your Clan Chest and Crown Chest. Update v1.9 for Clash Royale is already available for download in the App Store and Google Play, so make sure to get it to benefit from all the new features and improvements detailed by developers. Now you have news about Games updates??? ?